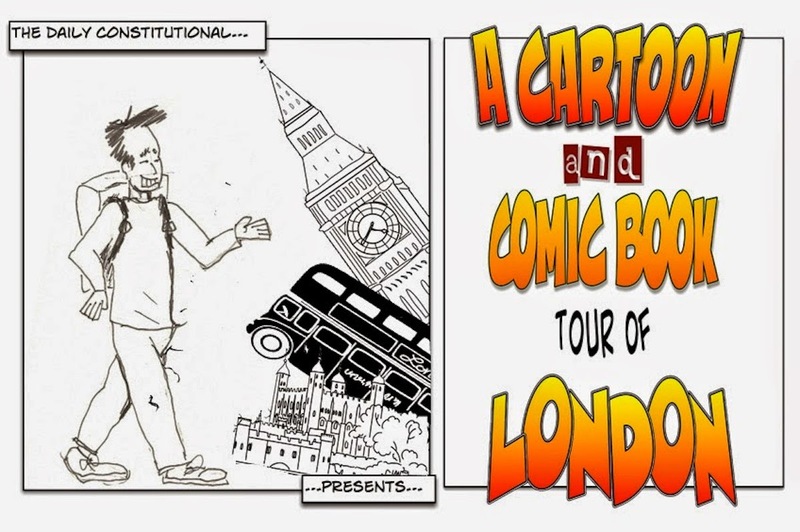 The idea behind my Cartoon & Comic Book Tour of London, which I began on this blog back in January this year, was really very simple: to marry my jobs as a London Walks tour guide and editor of The Daily Constitutional with my love of cartoons. It was timed as an enjoyable way for me to start the year. As I typed part three back on the 7th January 2015 – a blog post looking at Über, the gory, ongoing alternate WWII history comic by Kieron Gillen & Canaan White – the news of the Charlie Hebdo atrocity came crashing in from Paris. It suddenly seemed an inappropriate moment to be blogging about cartoons. In light of events, and the particularly bloody subject I had chosen to blog about that day, I decided to spike the story. Or whatever the blogging equivalent of that bygone verb may be – I suppose we would click "save as draft", rather than spike the story, which doesn't have nearly the same drama. As I watched the story unfold online I found myself becoming more and more upset. More so than I had been on the day of the 7th July attacks right here in my own city ten years ago. More even than the day that the nail bomber struck in the heart of Soho. This seemingly distant attack, some 200-and-more miles from my home city, in another country, felt inexplicably close to home. was it because I am a journalist by trade that the story was hitting so deeply? As I watched on my computer screen, the desk at which I sat was littered with the pencils, inking-in pens and drawing pads that I had been using with my 7-year-old daughter just the night before. The 7th January is a date I will never forget. The date I can't remember, however, is when I stopped drawing my own cartoons. Don't get me wrong: I'm not suggesting that the flag above the Tate Modern should be flown at half-mast, or anything. It's just that somewhere down the line, sometime in my 20s, I stopped drawing. I stopped and didn't touch a pencil for the best part of two decades. Then my daughter came along. Like most kids, she loves to draw. It's what she loves to do almost to the exclusion of everything else. To the extent that she even views it as an acceptable alternative to playing on a screen. And so I drew with her. And it felt like waking up refreshed from a heavy sleep. All children love cartoons – and a fairly large percentage of their parents use their children as an excuse to love cartoons, too. I will never have to do this. I learned long ago, at my father's knee that one needn't employ a child as a beard to enjoy cartoons. My father would roar his head off laughing at cartoons. Wild laughter. Unseemly. Infectious. Ludicrous behaviour for a grown-man. He often went on record to say how suspicious he was of people who didn't find cartoons funny. He's been dead the best part of ten years now, but I'm still pretty happy to use his cartoon test as a moral compass for life. It has seldom let me down. A popular family legend tells of him as a young man – young, but, crucially, full-grown – being forcibly ejected from the local cinema in our hometown. He always insisted that the reason for his being thrown-out was for "Laughing too loud at the Looney Tunes." That was his story and he stuck to it all his born days. I suspect there was more to it than that, and that alcohol was involved somewhere down the line. But those who ever endured the cartoons with him in a cinema have often corroborated at least part of his alibi. "He was," one old friend of his said, still cringing at the memory, "an embarrassment." Having been ejected into the cold night and bent on revenge, my dad and his pals lifted the cinema manager's car – a tiny 1950s bubble car – into the foyer of the picture house and left it there. A Looney Tunes-inspired act of vengeance that could only have been bettered if they'd placed a rake flat on the floor for the cinema manager to stand on, with an anvil hanging by a thread above it. When my grandfather died we found among his personal effects a cartoon pressed between the pages of a book. It was on a piece of notepaper and my father said he remembered the day it was drawn. It depicted a leering Hitler holding an olive branch out to Stalin… only the olive branch was wrapped around a barbarous-looking dagger. It refers either to the signing of the Molotov–Ribbentrop Pact of 1939, bringing a brittle peace between Nazi Germany and Soviet Russia, or to the breaking of that pact with the Nazi invasion of Russia in 1941. There is no date on the drawing, but my father said he remembered his father sitting down to draw it. And remembered it vividly. Whether it is a copy from a newspaper of the day or an invention of my grandfather's I have been unable to ascertain, but what strikes me today is that my father would have been somewhere between six- and eight-years-old when it was drawn. Roughly the same age as my daughter is now. And all those years later, the memory of his father drawing remained. If, when I am long-gone, someone should ever ask my daughter to describe her daft old dad, I would be a happy man if she said: "When he wasn't being a grumpy old so-and-so, he liked drawing and he liked laughing." It seemed that the events of the 7th January 2015 were not so distant after all – they resonated through cartoons down four generations from my grandfather (who, in a nice cartoony footnote, was built like Desperate Dan) to my daughter. I turned to the cartoonists of 2015. We are blessed in this country that the world of the political cartoon is completely Old Fart Proof – no one can gripe that cartoons were better in the olden days with the wealth of talent on display here every day. Steve Bell, Martin Rowson, Chris Riddell and Peter Brookes put the boot in from all sides of the political spectrum. All our cartoonists, from The Daily Telegraph to The Guardian acquitted themselves powerfully and responsibly that day, but Mr Bell's response in The Guardian was a stand-out, full of clear-headed rage, eloquence and bleak humour – you can view it HERE. "After the murders of the Charlie Hebdo cartoonists Cabu, Wolinski, Tignous and the paper’s editor-in-chief, Stéphane Charbonnier – who signed himself “Charb” – there’s a terrible temptation to stop laughing. Although that, I believe, would be a fundamental error. Back when I was six, my dad asked me what I wanted to do when I grew up. I told him I wanted to be a cartoonist. I wonder what he would have advised if he'd known that I'd grow into a world where it's a good day for a cartoonist if he manages to get back home from his desk alive with only the threat of murder hanging over him. He simply said what he always did. "Well to be a cartoonist you have to stick in at the school." He was a motor mechanic and "sticking in at the school" (i.e. applying oneself to lessons and study) was big with him. It was also the big advice given to me by the first proper cartoonist I ever met – the late, truly great John Grant. John Grant was the writer and illustrator of the Littlenose stories which were so popular on TV's Jackanory programme. 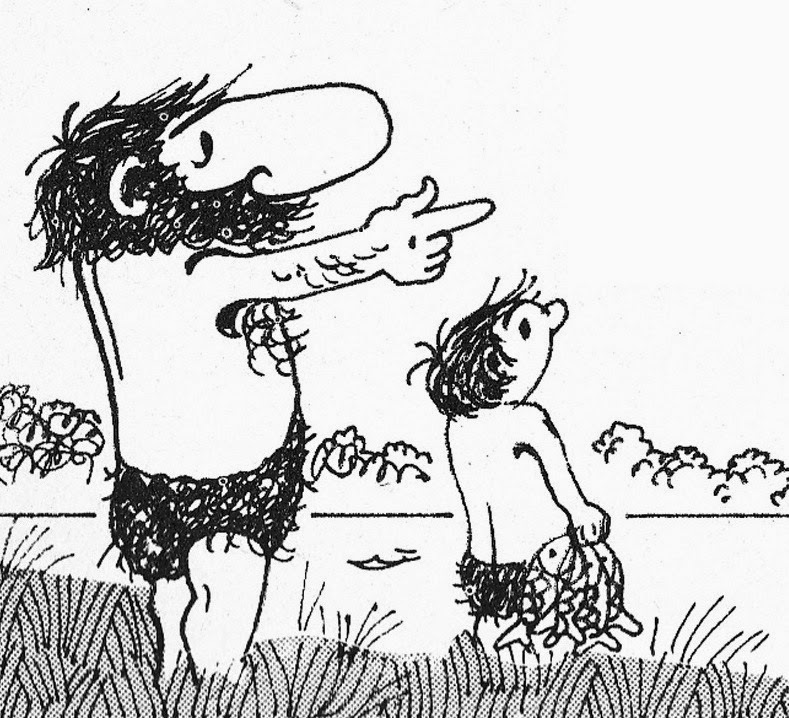 Littlenose was a Neanderthal boy who was always getting into scrapes (that's him above, with the little nose, of course). Grant visited our school and when I asked him how I could do his job, he replied, in that wonderful musical voice that he had, "Stick in at your lessons and then go to art school." Art school? This was new information: a school dedicated entirely to art? Where you didn't have to do sums! Could such places be? The notion was so glorious to me that I half-suspected that he was pulling my leg. Perhaps my dubiety was the reason that it took me so long to follow his advice – nearly 40 years, in fact. 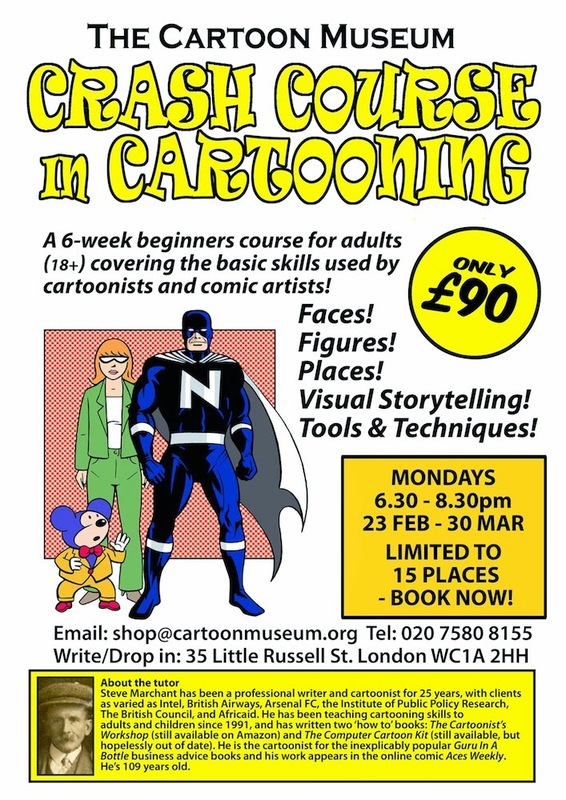 Last year I joined the Crash Course in Cartooning course at the Cartoon Museum, taught by the peerless Steve Marchant. Steve is not only an expert cartoonist, he's also an inspirational teacher. With his fantastic and outrageous mohawk haircut he even looks like a cartoon. The great glory of his course was being able to watch someone do exactly what they were put on this earth to do – his work is effortless. Yet he does it in such a way that makes you want to have a go, too. 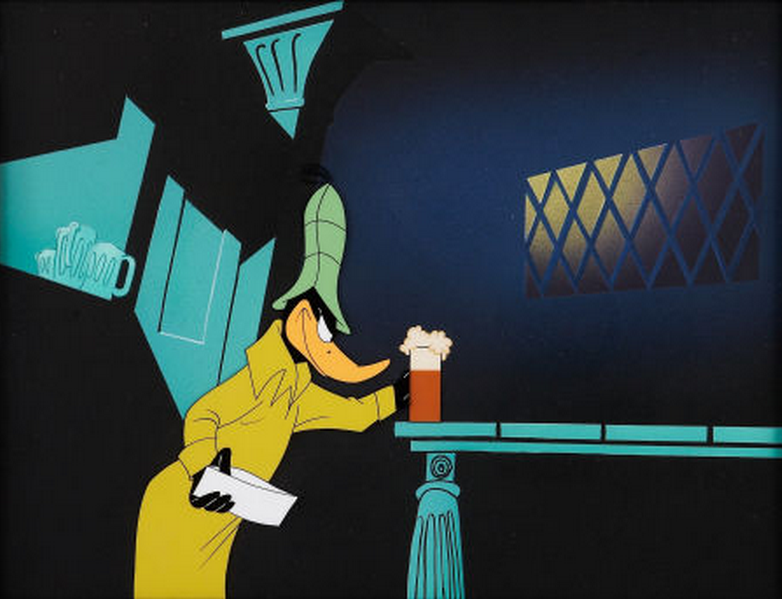 Although it was billed as being the very basics of cartooning, he switched the lights on for me in areas of the cartoonist's art that would have been as inaccessible to me without his guidance as the remains of Glenn Miller's plane. Moreover, he taught us with a natural cartoonist's sense of economy and a great sense of fun. Perhaps this VERY long blog post could take a leaf out of his book? 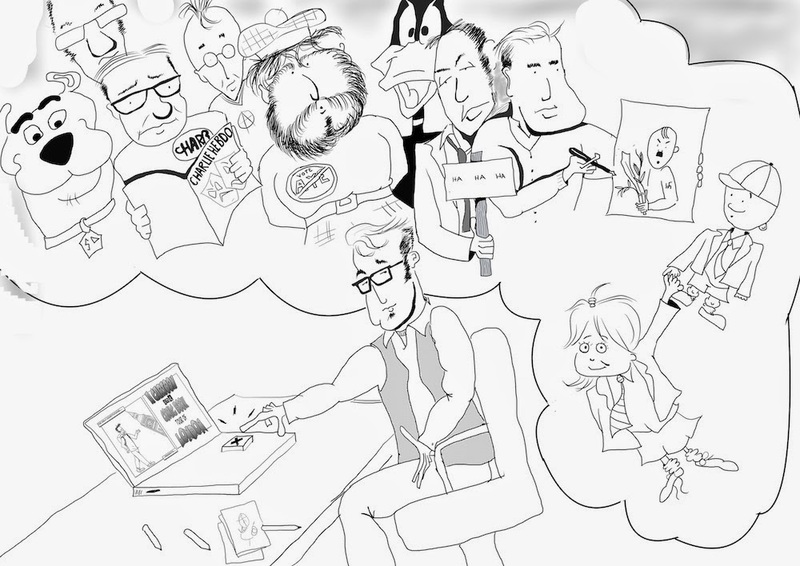 On the 7th January 2015 I had to decide whether to continue with a blog series about cartoons and cartooning – not really the world's biggest decision, on the face of it, on that or any other day. I thought of my dad who loved cartoons and also spat hilarious, free-spoken political opinions even on his deathbed (opinions so scabrous that even cyberspace would blush). I thought of my grandfather as a 27-year-old coal miner and father-of-three, under skies soon-to-be darkened with bombers, who made sense of it all by picking up a pen and drawing. I thought of my daughter who is still very much in the "But why?" stage of life, who loves to draw and hold forth. … I blogged about Private Eye and the series moved on. In the end, I've had a lot of fun blogging about cartoons and cartoonists in London – even if the backdrop of the times has been a disturbing one. There was yet another twist in the tale as, with the series drawing to a close, Steve Bell stirred up a hornets' nest of anger north of the border with his If… cartoon strip. As a Scot I was asked if I found Bell's portrayal of Scotland's First Minister Nicola Sturgeon in any way racist. Last year I would have mumbled and mangled the quote misattributed to Voltaire about defending Steve Bell's right to draw whatever the bugger he likes. Given the times, I had only one answer: Je Suis Steve Bell. Anita at the Cartoon Museum has been more than helpful with this series, as has Camila and the friendly staff at Orbital Comics, so big thanks are due there. It was also lovely to be reTweeted by the creators of the comic book Metroland (see Panel 18 of the tour). Best of all was the moment when I hit a professional high spot of my journalistic career: my work was reTweeted by The Beano. I hope you've enjoyed following my Cartoon & Comic Book Tour of London – the series ends tomorrow with Panel 20 dedicated to a pair of very fine Willies indeed: William Hogarth and Willie Rushton. It may well yet end up on the London Walks programme as a walking tour in some shape or form, but until then you can catch up with the previous 19 panels at the links below.